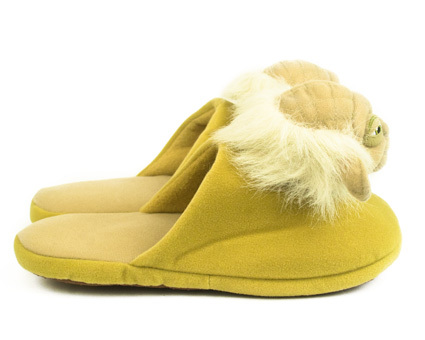 Straight from the swamps of Dagobah are these slippers made in the likeness of the greatest Jedi Master in the Galaxy. Tiny, green, and 900 years old, Yoda is one of the most beloved characters from the Star Wars films. As Luke Skywalker's spiritual guide, Yoda teaches us that looks can be deceiving, and speaking with backwards sentence structure makes you sound really wise. 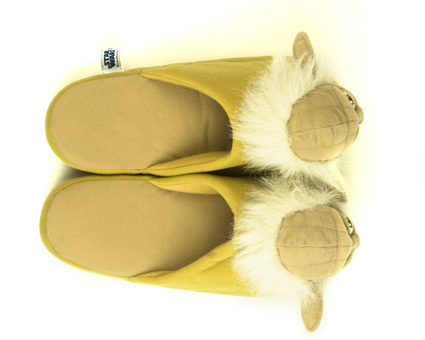 Constructed of plush, high-quality materials, they are. 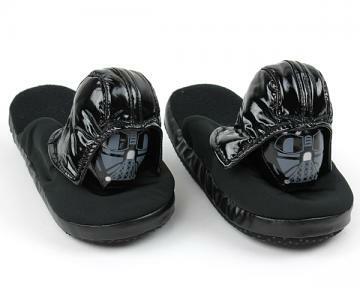 Comfortable, your feet will be. 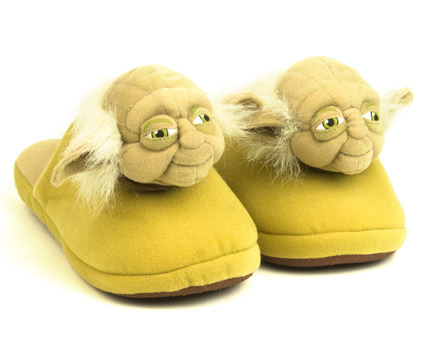 Want them, you do. 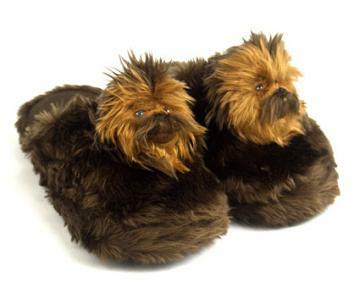 The force is strong with these slippers! Received these awesome slippers as a gift. 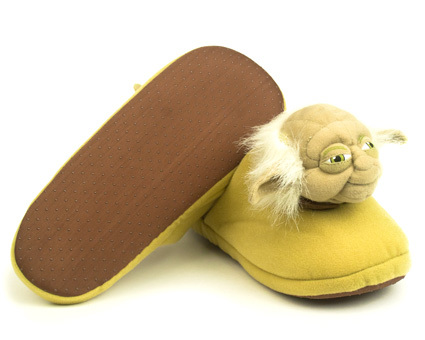 They are quite comfy and the detail on Yoda's head is very good, you can feel the force when you look him right in the eye.